Kathryn Hughes was educated at Lady Margaret Hall, Oxford, and holds a PhD in Victorian History. For the past fifteen years she has combined a career in literary journalism with university lecturing. Her first book, The Victorian Governess (1994) was based on her PhD. George Eliot: the Last Victorian (1999) won the James Tait Black award. In 2005 she published The Short Life and Long Times of Mrs Beeton, listed for the Samuel Johnson Prize and the Andre Simon Prize. Mrs Beeton and George Eliot were both subsequently filmed by the BBC, for which films she acted as consultant. Professor Hughes is also editor of George Eliot: A Family History (2000). Kathryn Hughes has won many national prizes for her journalism and her historical writing. 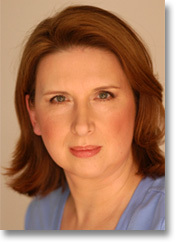 She regularly presents Open Book and is a critic for Saturday Review and Front Row (all BBC Radio 4). Since 2003 she has been employed by The Guardian as a book reviewer and commentator, and is also a contributing editor to Prospect magazine. Kathryn Hughes has been a university lecturer since 1989, and in 2001 started teaching on UEA’s MA in Life Writing, the programme which she currently convenes.